If you want to give it your all on skis without sweating or freezing, then the Ski Merino Socks are just what you’re looking for. Their perfect blend of finest merino wool and synthetic fibers creates the optimum thermal balance: Whether you’re in the valley or on the glacier, these comfortable ski socks keep your feet warm when it’s cold out and cool when temperatures rise. The wrinkle-free, stay-put fit guarantees unmatched wearing comfort without slipping so you can say goodbye to blisters. 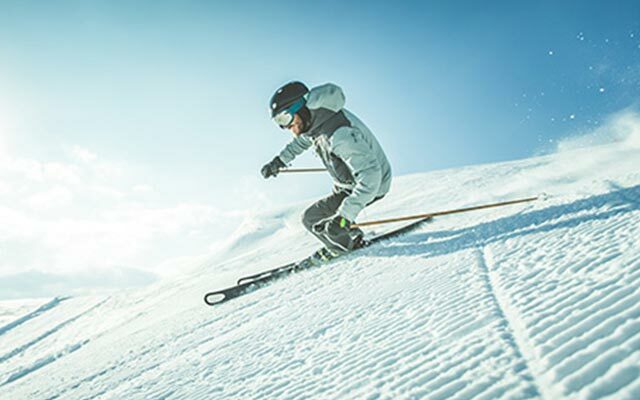 Enjoy stability, an awesome skiing experience and fast recovery thanks to the proven medi compression. Get ready for full wintersport power with the Ski Merino Socks.